Food blogs and podcasts are everywhere, but most focus on a single aspect of the culinary experience. Not this week’s #WebsiteWednesday, Chewing.xyz. Started by Chicago Tribune reporter Louisa Chu and WBEZ’s Monica Eng, Chewing.xyz focuses on the intersection of good food, good health, and good policy. Chewing.xyz has been featured in The Daily Meal and The Chicago Tribune multiple times – and for good reason. In addition to being a Chicago Tribune Food & Dining reporter, Louisa Chu is also a James Beard Scholarship winner, Iron Chef judge, Anthony Bourdain fixer, former chef at Michelin two-starred restaurant Les Ambassadeurs, and has even interviewed the legendary Julia Child. Louisa’s podcast sidekick, Monica Eng, has been nominated for five James Beard Awards for her investigative reports on consumer issues. Chu and Eng use Chewing.xyz to explore new culinary experiences and discuss food cultures around the world. In addition to their love of food, the pair also love reporting on the policy and culture that shapes the food we eat. Chewing.xyz has covered soda taxes, talked with restaurant critics, discussed healthy trends with chefs, and even discovered a way that bars can recoup their costs through Tiki drinks. “Our goal for Chewing.xyz is to provide an inclusive home for our podcast. You can listen to all our episodes there, as well as see things we talk about, from chef recipes to food tasted in the game we like to call “Will She Eat It?”, which explores cultural and culinary differences as well as deliciousness. When Louisa Chu and Monica Eng started Chewing.xyz, they were able to secure the domain of their choice with .xyz. To hear more from Chewing.xyz, check out the podcast on Soundcloud or on Apple Podcasts for free. And for more Chu and Eng, check Chewing.xyz out on Twitter (or individually @louisachu and @monicaeng), on Facebook, or on Instagram. And make sure you follow @xyz on Instagram, Facebook, and Twitter for more great .xyz use cases. Black Friday deals on .XYZ domains are back! We’re also thankful to be able to attend a ton of exciting events to spread awareness about .xyz around the world, which we’ve documented in our monthly event recap blog series. Now, after thanks have been given and all the turkey has been consumed, there’s only one thing left to do… shop the best Black Friday sales on .xyz domains! This year our registrar partners are back again with irresistible deals on .xyz domains for as low as $0.50! Thinking about getting a website for your business? Get YourBusiness.xyz or YourIdea.xyz now for less than a bottle of water. Looking for unique gifts for friends and family this holiday season? Give them something they can keep forever, their FirstNameLastName.xyz. The possibilities you have with .xyz domains are endless, and there is no better time to get them than right now. Select your favorite registrar below to take advantage of their Black Friday & Cyber Monday deals, or head to www.gen.xyz/BlackFriday to see a full list of participating registrars. Great entrepreneurs are often born when a person stumbles over a problem and then sets out to solve it. Diego Diaz Giammarino, CEO and Founder of Tesista.xyz, experienced exactly that when he wanted to print his thesis in Mexico. There was no fully digital service in Mexico that he could access. 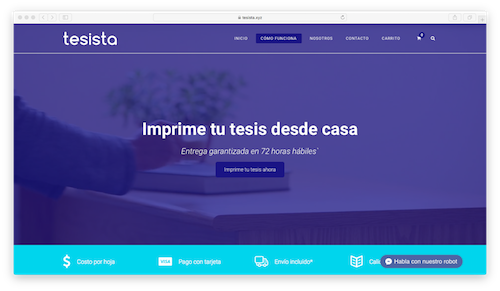 Not to be deterred, and to help other academics in similar positions, he founded this week’s #WebsiteWednesday, Tesista.xyz, and changed the Mexican thesis printing landscape. With a large audience of Mexican students looking to publish their academic works, Tesista.xyz has generated serious buzz in major Mexican news outlets like PulsoSocial, MásPorMás, DineroEnImagen, and Fundador. According to Tesista.xyz, they also recently partnered with Santander Bank and Universia Mexico to connect universities across Mexico and offer Tesista.xyz’s services to millions of Mexican students in the future. “I had originally turned to .xyz because of its attractive price-point. But when it came time to purchase my domain, .xyz made more sense because of how closely we work with theses. Every thesis and every book is just a bunch of letters, so .xyz made sense: we could help people print their thesis from A to Z.” – Diego Diaz Giammarino, Founder and CEO of Tesista.xyz. After being stymied by the process of printing his own thesis, Diego wanted to make the process on Tesista.xyz as painless as possible. That’s why Tesista.xyz’s mission is to ensure those millions of Mexican students who need to print their theses can do so securely, easily, and quickly, all in about 72 hours. According to Marco Mares, there are some 200,000 students in Mexico that require thesis printing services every year, meaning Tesista.xyz is bound to flourish. And with their .xyz domain, they can stand out from the crowd. Be sure to connect with Tesista.xyz on Instagram or Facebook, and to see more great .xyz use cases, follow @xyz on Instagram, Facebook, and Twitter. Inspired by Tesista.xyz to get YourBusiness.xyz? Starting November 24th, dozens of our registrar partners will be having special Black Friday and Cyber Monday sales, and .xyz domains will be available for as low as $0.50 USD! Check out the list of participating registrars and head to your favorite one to take advantage of these incredible deals and get some for the whole family, just in time for the holidays. Learn more about our Black Friday-Cyber Monday .xyz domain deals! October was another action packed month for all of us here at XYZ. Keep reading to see everywhere we went, or check out the video below for all the highlights! 2017 marks the 3rd straight year that we’ve taken .College to Educause, which was held this year in the City of Brotherly Love. And there was plenty of brotherly love spread around to the 4,000+ attendees, especially by the #XYZsquad, whose welcoming personalities helped the .College booth stand out among big names like Microsoft, Google, and Amazon as the hit of the conference. We spoke with hundreds of education industry professionals to help them register their .College domains and get their picture with the #XYZsquad too! Get your .College domain today! October also brought us an opportunity to connect with one of our leading registrar partners, Alibaba, at their YunQi Conference. It was great to see some familiar faces at the event, not just from Alibaba, but from Driver.xyz as well. There were many insightful keynotes and presentations given at the event, so if you missed any be sure to watch the replays here. Giving the next generation of business leaders around the world a place to show their skills is central in XYZ’s mission to get the next generation online, and our partner Product Forge has helped us accomplish this goal time and again with their hackathons. This month, Product Forge organized the Edinburgh Tourism Challenge Weekend to give Scotland’s bright young minds a crack at improving Edinburgh’s tourism industry. Hackathon attendees put forth dozens of new ways to optimize the city’s tourism industry, and we supported them with free .xyz domains so they can share their ideas with the world (and they received some great free swag to boot). Check out the hackathon recap video below to see all the action, and subscribe to our newsletter to stay up to date on all the ways we support #GenXYZ! ICANN’s events have given Team XYZ the chance to travel around the world, and this month we made the trip from LA all the way to Abu Dhabi, where we met with over 30 of our partners. We shared the exciting news about both .Storage and the 1.111B® Class officially launching, and also planned some exciting new initiatives for 2018. Last month we previewed an interview we were happy to have with Majesty Alliance, and we’re excited to be able to share the full video this month. Check it out below! We capped off the month of October by celebrating Halloween with the entire office. We held a costume contest and a pumpkin carving contest, and there were some very creative entries in both. To see more of XYZ’s culture and find out why XYZ is the best place to work, check out our daily stories on Instagram (@XYZ). This past Saturday marked the official launch of the 1.111B® Class of domains, meaning all registrars that offer .xyz domains will now also automatically support the 1.111B® Class. At the same time, we announced our partnership with the crypto-currency platform Ethereum. What is the 1.111B® Class, you ask? It encompasses all 6 through 9 digit .xyz domains, which have been reclassified with a recommended retail price of 99¢ to be used for alternative purposes. And Ethereum did just that; you can now pair your Ethereum wallet with .xyz domains for secure coin management and trading. We’ve already seen hundreds of unique ways the 1.111B® Class is being used, and this week’s #WebsiteWednesday features just a few to help you get some ideas about what else you can do with your 1.111B® Class domain. 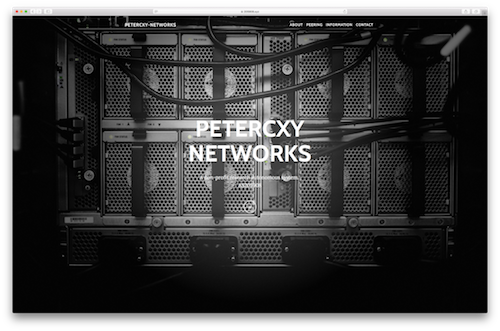 205908.xyz is the home of PeterCxy Networks, a non-profit autonomous research system operated by students, which helps network administrators view important information on other networks through a system called “peering.” The peering system PeterCxy Networks uses is called the AS205908, hence the meaning 205908.xyz. 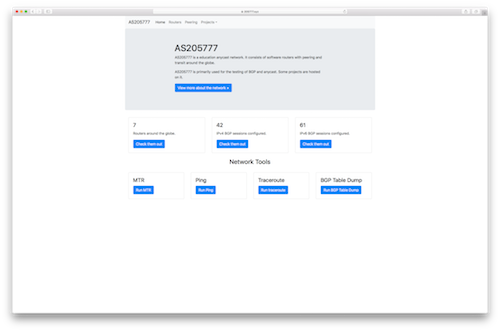 205777.xyz is an education anycast network which, similar to 205908.xyz, offers peering services, but in this case primarily for testing gateway protocols and hosting projects. 205777.xyz has 7 routers around the globe, which allow users who are separated by thousands of miles to peer into each others networks as if they were in the same room. Older members of #GenXYZ may remember lots of talk back in 1999 about the Y2K problem, referring to a bug that didn’t allow certain computer file storage dates to exist beyond the year 2000. Now, a similar issue is on the horizon, called the “Year 2038 Problem”, which will have disastrous effects on your files if you aren’t updated to using 64-bit time. Those who are worried and want to track the exact date and time they need to update by should look no further than 20380119.xyz, which is named for the date systems must update by, and features a second by second countdown to when the bug will hit. 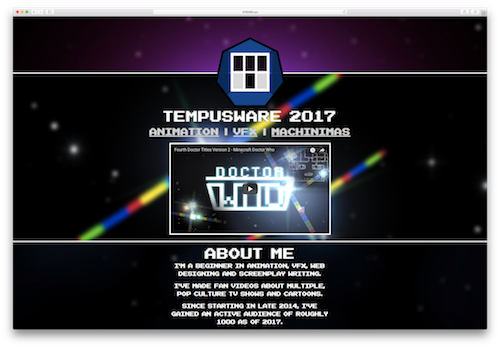 Tempusware, YouTube animator and creator of 078596.xyz, is a talented content creator who has amassed an audience of nearly 6,000 subscribers thanks to his re-imaginings of popular TV shows like Doctor Who and Teen Titans, and games like Club Penguin. 078596.xyz is the one-stop place to see his work or connect with him on Twitter, and see the work of his other animator friends as well. These are just a few of the many ways you can use a 1.111B® Class .xyz domain. At just 99¢, you can secure multiple as identifiers for networks or products, or register YYYYMMDD.xyz domains to mark important dates. Find out what our CEO has to say about these developments in Daniel’s CEO blog. The possibilities are endless, and the only limit on how to use your domain is your imagination! Hurry to your favorite registrar and secure your 1.111B® Class domains today. 11/11 marked the official launch date of XYZ‘s 1.111B® Class – a segment of 1.111 billion domains that are perfect for usage in the Internet of Things, vanity identification, digital currencies, and other creative uses. As a new variable price tier, more than 400 retail partners of XYZ can automatically support this first-of-its-kind class of domains – made up of all 6, 7, 8, and 9-digit numerics – for a recommended retail price of 99¢ per year. The first major partnership related to the 1.111B® Class came last week at Ethereum’s DevCon3 conference, where the popular blockchain cryptocurrency announced support for users to pair their Ethereum wallets with .xyz domains for secure coin management and trading. With 99¢ annual carrying costs and flat 99¢ transaction fees, the 1.111B® Class is the first digital currency platform to be supported by a global network of registrars, with built-in security and customer support, and stability through the internet’s root DNS. Thanks to early supporters like GoDaddy, Uniregistry, and Name.com, the 1.111B® Class is available to leaders, creators, and innovators in over 230 countries and territories. Since the prelaunch, 1.111B® Class domains are already being used for autonomous research (205908.xyz), advanced networking (205777.xyz), and calendar milestones (20380119.xyz). With no minimum or maximum registration requirements, domains may also be registered as needed for app testing, vanity VoIP numbers, identification numbers, zip codes, or in sequential blocks to match serial numbers. To learn more about the 1.111B® Class, visit www.AYDACFU.xyz, or read the white paper and our official press release. Start searching for your favorite numbers, dates, and patterns in our new 1.111B search tool. If you’re looking for inspiration, check out all the current 1.111B websites and make sure to follow us on Twitter, Instagram, and Facebook for more info! Every year on November 11 (or 11/11) China celebrates Singles Day, a holiday dedicated to celebrating the things that make a person unique. Expressing your individuality is at the heart of making your own .xyz site, and no matter what you choose to use your .xyz domain for, it is as unique and capable as you are. This Singles Day, we’re showing off three websites from China that represent some of the many ways people express themselves using a .xyz. When you’re picking a domain to register, it’s always smart to get your FirstNameLastName.xyz. XinyuhuiWang.xyz did just that, but since it’s a Chinese name, it’s actually a LastNameFirstName.xyz. 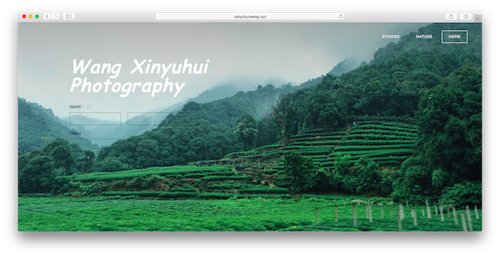 XinyuhuiWang.xyz shows off their iconoclastic photography on their .xyz site while documenting a changing China and the world beyond. Want to make sure you’ve secured your name? Head to gen.xyz/register now to grab your FirstNameLastName.xyz, LastNameFirstName.xyz, or any combination you choose! Since .xyz is a truly generic domain, it represents everyone, everywhere, regardless of the language they speak. Because of this, many individuals and businesses brand on a .xyz domain to connect with a worldwide audience, like ArtMap.xyz. 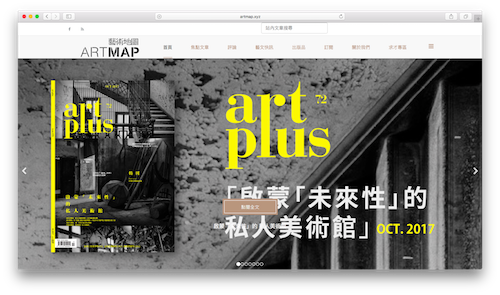 ArtMap.xyz is a premier arts and culture magazine dedicated to reporting on events, openings, and trends throughout Hong Kong, Macau, and Taiwan. With a focus on the cutting-edge and a passion for the avant-garde, ArtMap.xyz brings an eclectic world of art, music, literature, and more to their readers. More than 300,000 Chinese students study at universities in the United States. But pressure on Chinese students to succeed is often very tough, so DryUp.xyz brings a little levity to their situation. DryUp.xyz produces clothing for students studying in the US with an irreverent spin. 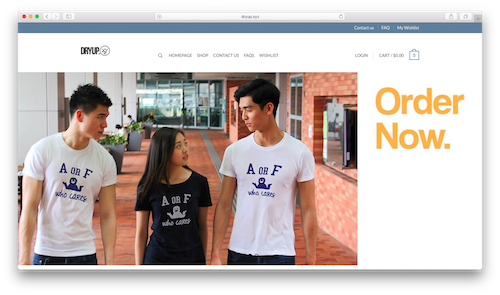 Clothing with the letters “GPA” take the place of college athletic department logos, and their slogan, “A or F, who cares?”, sums up their feelings regarding studying in the US pretty well. To all of our friends and partners in China, we wish you a happy Singles Day! But remember, Singles Day is a great opportunity to show the world what makes you different and special, no matter where you live. 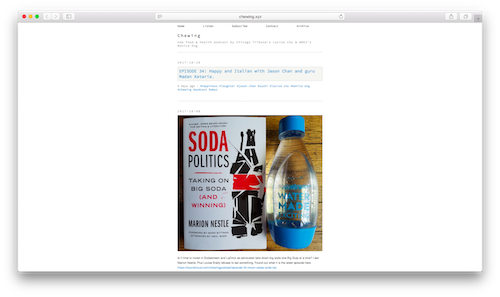 If you want to see more great #WebsiteWednesdays, be sure to keep reading our blog. And make sure you follow @xyz on Instagram, Facebook, and Twitter for more great .xyz use cases. Today, XYZ is launching our tenth domain extension, .Storage, which was acquired earlier this year. As the authoritative namespace for the physical and data storage industries, .Storage allows businesses and individuals in an $80+ billion industry ($38 billion self storage + $44 billion data storage), to upgrade their online presence by making all domains available for one flat price – including 1-characters, 2-characters, and valuable keywords! Priority registration for trademark holders begins at 9:00am EST today, and domains are awarded immediately on a first-come, first-served basis. With no SMD file or verification necessary, brands may secure their trademarks, facility locations, or even keywords, before they become available to the general public on November 28, 2017. Global general availability begins on December 5, 2017. To encourage customers to begin using their .Storage domains immediately, we are offering a complimentary white-glove website migration service for a limited time ($10,000 value). The process takes less than a week, and we follow Google’s best practices to transition your website from your old URL to a new .Storage domain. Existing search engine rankings, SEO scores, and emails are all maintained, and you can enjoy a boost to your branding and online presence after switching to .Storage. Not sure what to register? Check out some of our favorite .Storage domains below that can be hand registered today! To learn more about .Storage, visit www.go.storage, read our press release, or follow us on Twitter, Instagram, and Facebook. Then head over to one of the retailers below or your registrar of choice to secure your .Storage domains! See a full list of supporting registrars here. Ghostpia.xyz is a visual novel available on the iTunes App Store with a solid 5-star rating, and on Ghostpia.xyz. From a team of comic creators, composers, and storytellers comes a story unlike anything you’ve ever read – or played. 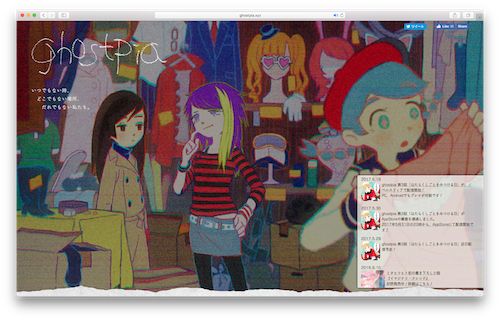 So when it’s time for you to pick up your next book or video game, and if you’re fluent in Japanese or want a stunningly animated visual novel, we suggest you check out this week’s #WebsiteWednesday – Ghostpia.xyz. Ghostpia.xyz’s creators are a group of current and former college students known as Super Water Supply, who in addition to Ghostpia.xyz have published 6 other visual novels. Players on Ghostpia.xyz can click through stories to discover more about the protagonists, their world, and the mysteries that surround their existence in their quiet ghost utopia. Ghostpia.xyz’s excellent soundtrack is available for download on their Soundcloud or on Amazon. As the domain extension for every website, everywhere, .xyz is especially popular with Japanese creatives who use the domain to connect with others outside of Japan. With its gentle, atmospheric music, adorable characters, and compelling storyline, Ghostpia.xyz is an excellent example of the creative work .xyz has become known for. If you’re looking for a great new game to play, or your next favorite book, then check out Ghostpia.xyz today. Follow @xyz on Instagram, Facebook, and Twitter for more great .xyz use cases.